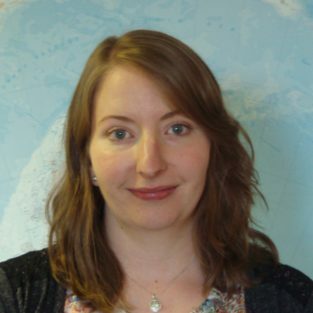 I act as a point of contact for NERC grant holders conducting polar research, overseeing the data management lifecycle and offering support to the PI throughout their project. I work with the PI to ultimately ensure both the PDC and the project team are compliant with the NERC Data Policy. The first stage of this process is to liaise with the PI of the grant, to understand what their data requirements are and to create a Data Management Plan. The Data Management Plan identifies the data sets of long term value that should be made available to the data centre for archiving and reuse by the end of the grant. This is a working document which is developed and reviewed throughout the project. In addition, I support the PI when it comes to accessioning their data and compiling metadata, ensuring the data are effectively managed for the long-term. As the Scientific Data Coordinator, I work closely with the PDC Data Managers and the other NERC Data Centres, and am part of a group of cross-NERC Data Centre representatives to discuss shared grants and develop best practise. I also represent the Information Services team as an Innovation Champion, to provide a link between the team and the Directorate for Innovation and identify opportunities to help improve our core activities.